After a long wait as it shipped from Hong Kong and was then delayed further by my very inconsistent local mail carrier, I finally got to pick my HyperDrive up from my post office last Saturday morning. After trying it out for a few days, I like what I see and think it is definitely worth the current $79.99 price tag. There are plenty of USB-C hubs out there in the $40-$50 range, so what sets the HyperDrive apart? First of all, like some of the existing hubs for the MacBook and MacBook Pro, it is designed to fit snug to the iPad Pro and stay in place. This definitely makes the HyperDrive a little easier to use, as most hubs have built-in USB-C cables that aren’t long enough to keep them from dangling awkwardly off to the side of the iPad Pro. 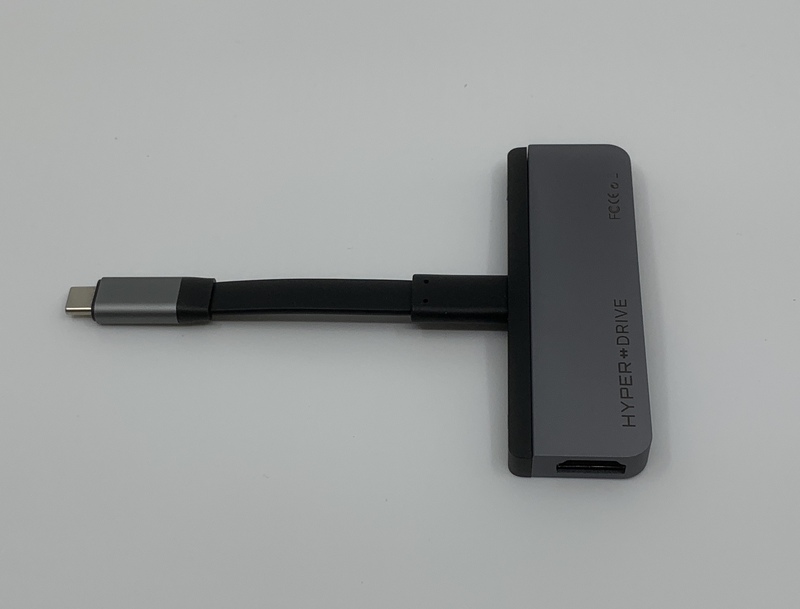 The HyperDrive attaches securely to the Pro’s USB-C port and has a small lip that slips over the back of the tablet and stabilizes the hub to keep it from moving around. So what else makes the HyperDrive a good fit for the iPad Pro? The inclusion of a headphone jack. Yeah, I know what you’re thinking. Save your comments for someone else. I have already switched to using wireless buds and cans with my iOS devices for the most part, so the lack of a headphone jack on the current iPad Pro doesn’t bother me at all. However, if you find yourself in need of one, the HyperDrive has you covered. This is notable because very few existing USB-C hubs include a headphone jack. I may never use it myself, but it is nice to know it’s there in case I ever need it. As for the rest of the HyperDrive’s ports, it is pretty standard stuff for a USB-C hub of this size. 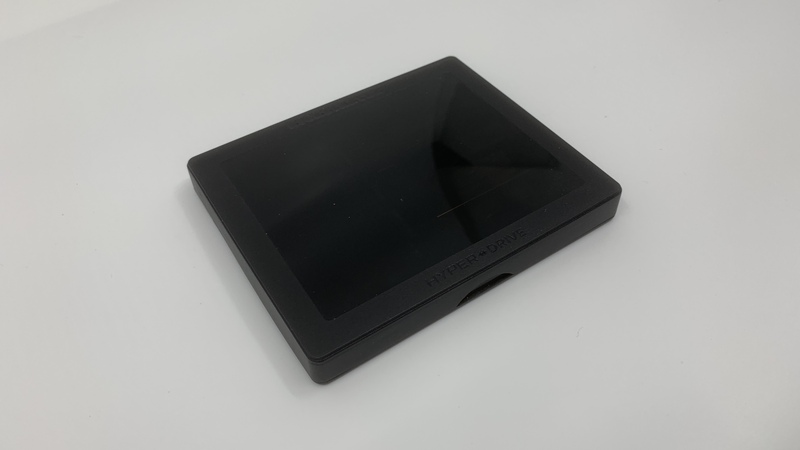 It includes a USB 3 port, a USB-C port (capable of Data or Power Delivery charging), an SD Card slot, a MicroSD Card slot and an HDMI port. There is also a small blue LED connection status light. As for construction, the HyperDrive has an aluminum body that seems durable enough and matches the exterior of the iPad Pro to a tee. It is available is Space Gray or Silver to match the color of your iPad Pro. As you can see above, the Space Gray version fits perfectly with my Pro of the same color. Since the HyperDrive hit its stretch goal of over $1,000,000 on Kickstarter, the company shipped the device with some nice extras. First off, it came in a nice plastic case with slots for each item. Inside, you get several small items, including a USB-C dongle, which is a great little addition, another grip that looks to me to be the same as the one that comes attached to the HyperDrive and a small screwdriver and a few extra screws. More on this in a moment. The default grip that is attached when you first use the HyperDrive is not a good fit for anything else except attaching to the iPad. Since USB-C is an open standard, it doen’t make much sense to spend this much on a dongle with such limited usefulness. The inclusion of the USB-C dongle cures this. 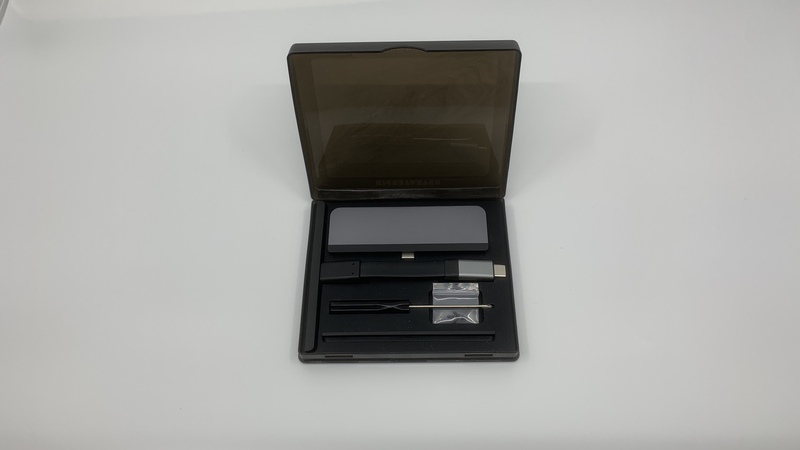 This is also where the small screwdriver included in the case comes in. The grips are attached with two small screws, which insure that they stay firmly in place. This makes it a little bit of a process to swap back and forth, but I would much rather have the option to use the dongle than not. 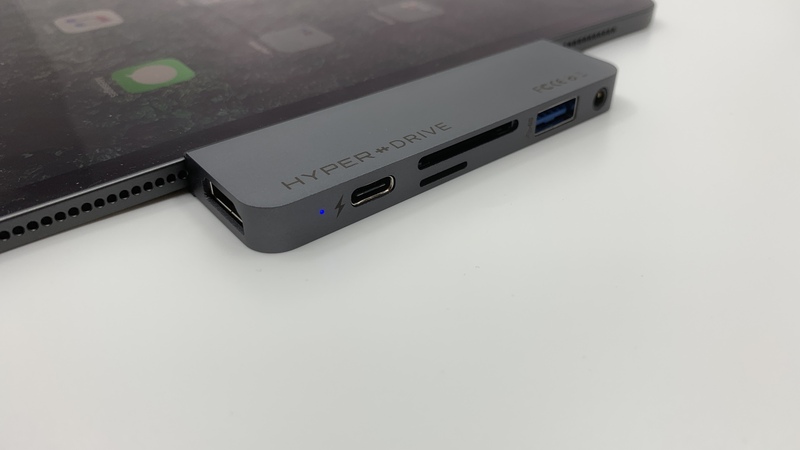 The HyperDrive works just as you would expect a USB-C hub to, both with an iPad Pro or any other USB-C device. In other words, this hub is bound by all of the same limitations that affects any other device you plug into an iPad Pro. You aren’t going to be able to do anything with external storage devices except download compatible image or video formats, which is unfortunate. 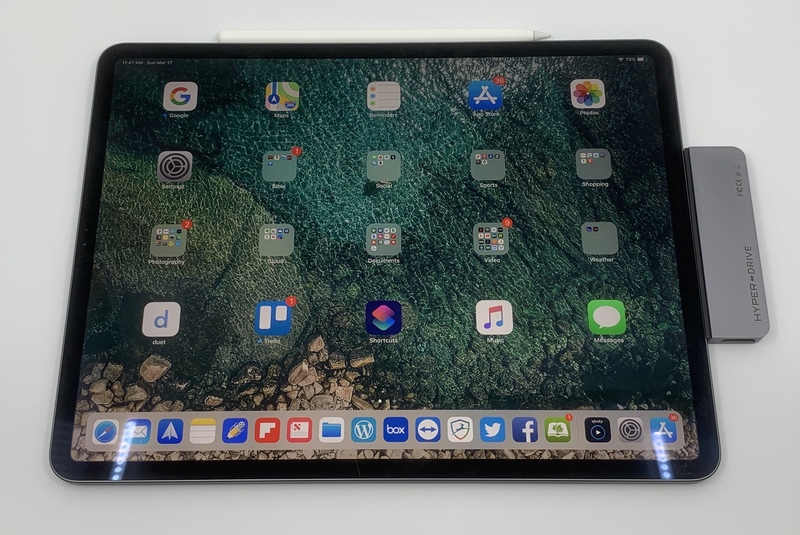 It looks like there is reason to believe that changes are coming to the iPad Pro with the iOS 13 reveal this Summer at WWDC, but until then, you won’t get a ton of mileage out of these slots. So what can you do with the HyperDrive? Well, you can connect a digital camera using the USB port and transfer images for editing. You can do the same with SD Cards, even with the already mentioned limitations. You can also use the USB 3 or C ports to connect an Ethernet adapter for a wired network connection. Most of us aren’t going to do this everyday, but it’s good to have the option for times when wireless may not be available. The HDMI port works well with the iPad Pro, automatically mirroring the screen by default. It also lets you play video content to a separate screen while maintaining the controls on the iPad Pro’s screen. This is is a great feature to have for presentations or for something as simple as playing your Netflix content on an HDTV in a hotel room while traveling. 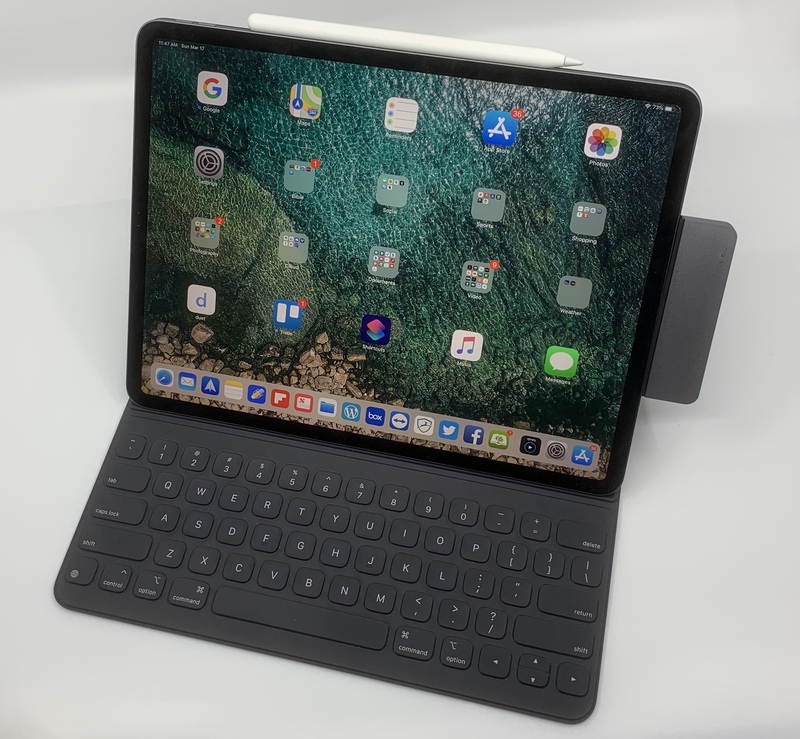 Add in the HyperDrive’s included headphone jack, and you have a collection of useful ports and features that do add useful functionality to the iPad Pro. Any of these individual tasks above can be handled with individual dongles, but many of these won’t allow you to charge your iPad Pro at the same time. 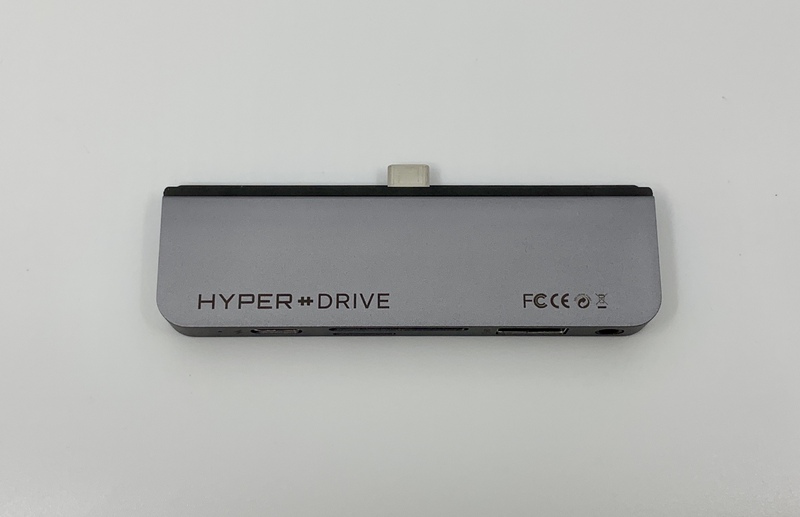 The HyperDrive’s USB-C port can act as a charging pass-through while using one or more of the other features, which is a big bonus. One limitation that I did note using the HyperShop with the iPad Pro is that it isn’t going to be compatible with some cases using the default grip. 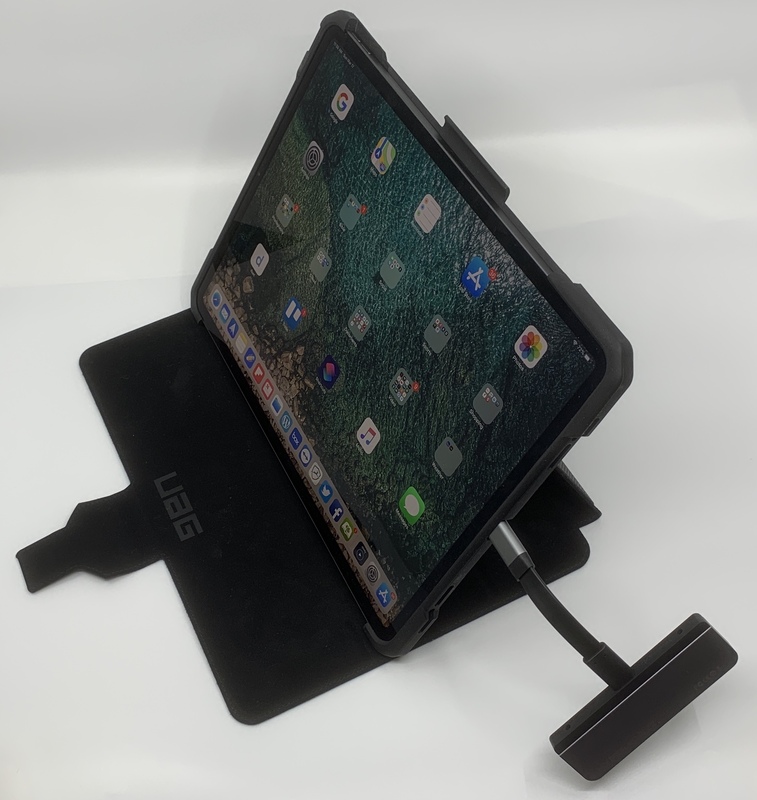 I was not able to use it with my UAG Metropolis with the default iPad Pro grip because that case covers the USB-C port. 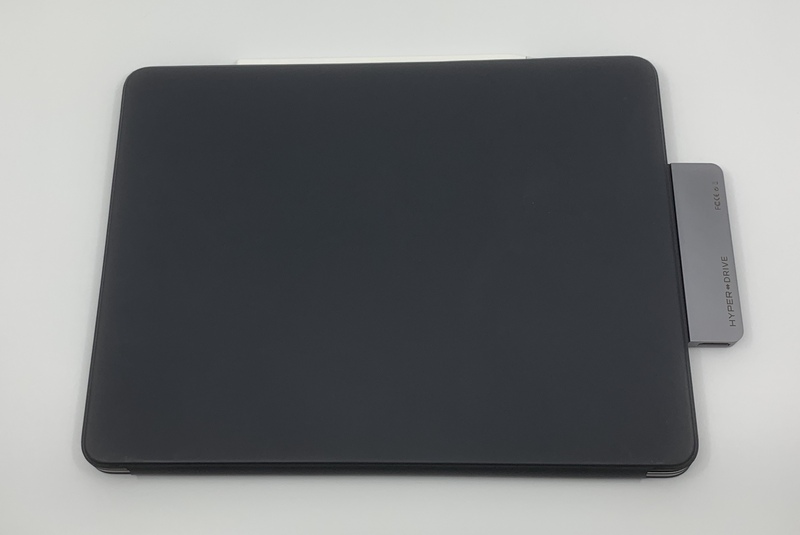 However, it is compatible with Apple’s Smart Keyboard Folio, and will be with any case that leaves the USB-C port side open. However, even if your chosen case isn’t compatible with the HyperDrive’s iPad Pro grip, the included USB-C dongle will still work for you. This isn’t a quick switch thanks to the fact that you have to remove and re-install screws, take the attached grip off, put the dongle on and then screw it down. However, it is still good to know that you can use the HyperDrive with your iPad Pro no matter what. Also, since the dongle’s flat cable is somewhat rigid and isn’t too long, the HyperDrive won’t be left dangling and flopping all over the place if you move your iPad Pro around with it attached. This certainly isn’t as clean of a solution, but the fact that the HyperDrive is flexible enough to work with pretty much all cases is a good thing. The only drawback of leaving the dongle attached is that the HyperDrive no longer fits in the included case. It’s a small thing, but since you have to remove screws and go through a process to remove the USB-C dongle, it’s worth noting. Paired up with a Windows PC, the HyperDrive acts just like any capable USB-C hub. All of the ports and slots deliver the full functionality that you would expect from a PC, and behavior with a MacBook or MacBook Pro with USB-C ports should be the same. The only real limitation I found was that you can only use one of the SD slots at any given time, but I think this is the case with many hubs. Today, the HyperDrive is a very handy addition to the iPad Pro. It may not be essential yet, but it provides multiple solutions in one small, well-designed package. If Apple delivers the goods with iOS 13 and gives us real file management for the first time, then it will become a real powerhouse. The fact that the HyperDrive isn’t a one-trick pony is icing on the cake for me. 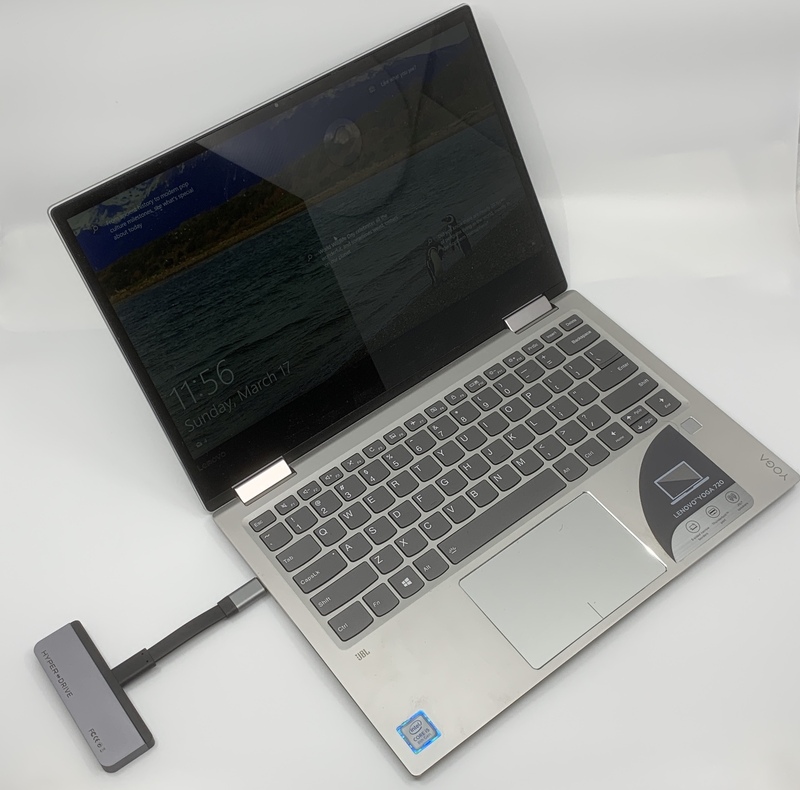 It will work with any Windows PC, Mac or Chromebook that has a USB-C port. It should also work with the Nintendo Switch and will likely be compatible with any Android device with a USB-C port, as well. It’s got the versatility you expect from a USB-C hub with some nice additions that make it a better fit with the iPad Pro. While $99 may seem like a high price for the HyperDrive, the current $79 price tag seems reasonable to me. When you consider what individual first-party dongles would set you back, you could easily pay for this rather than buying multiple adapters from Apple. Add in the fact that it can work with multiple devices in different capacities, and the HyperDrive looks like a very solid value. The HyperDrive is available from HYPER on Indiegogo for $79. 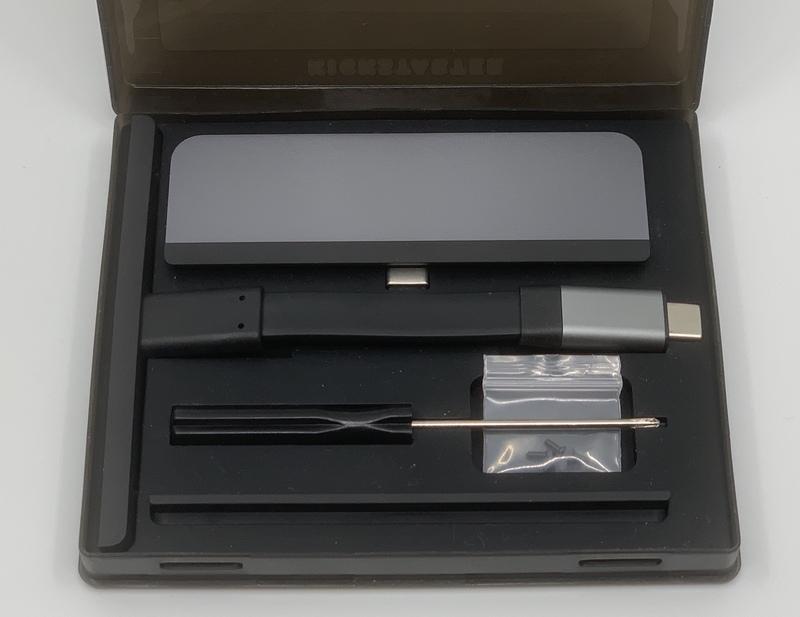 The HyperDrive from HYPER was purchased by the writer for review on iPad Insight. For further information regarding our site’s review policies, please see the About page.